Afghanite: Mineral information, data and localities. 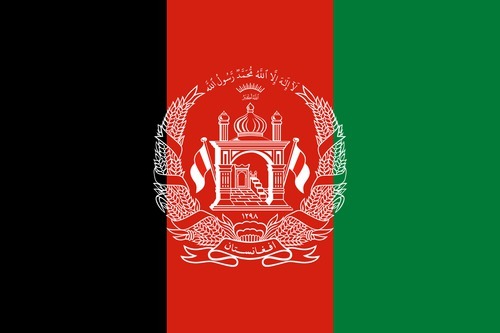 Named after the country of its discovery, Afghanistan. Visit gemdat.org for gemological information about Afghanite. As stout to slender, thin tabular laths and as rounded grains. Cell data from Ballirano et al. (1996). Previously assumed space group P63mc is incorrect. The Natural History Museum, London, England, 1969,72. Calcite 43 photos of Afghanite associated with Calcite on mindat.org. Pyrite 22 photos of Afghanite associated with Pyrite on mindat.org. 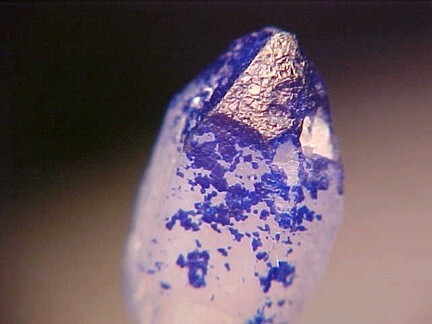 Lazurite 21 photos of Afghanite associated with Lazurite on mindat.org. Marialite 7 photos of Afghanite associated with Marialite on mindat.org. Diopside 3 photos of Afghanite associated with Diopside on mindat.org. 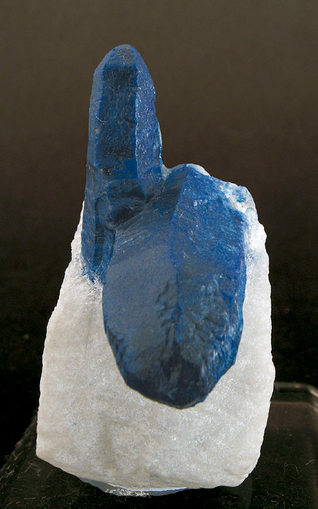 Tounkite 2 photos of Afghanite associated with Tounkite on mindat.org. Hackmanite 2 photos of Afghanite associated with Hackmanite on mindat.org. Sodalite 2 photos of Afghanite associated with Sodalite on mindat.org. Marble 1 photo of Afghanite associated with Marble on mindat.org. Quartz 1 photo of Afghanite associated with Quartz on mindat.org. Bariand,P., Cesbron, F., Giraud, R. (1968) Une nouvelle espèce minérale: l'afghanite de Sar-e-sang, Badakhshan, Afghanistan. Comparaison avec les minéraux du groupe de la cancrinite. Bulletin de la Société Francaise de Minéralogie et Christallographie: 91: 34-42. Hogarth, D.D. (1979) Afghanite: new occurrences and chemical composition. The Canadian Mineralogist: 17: 47-52. Leoni, L., Mellini, M., Merlino, S., Orlandi, P. (1979) Cancrinite-like minerals: new data and crystal chemical considerations. Rendiconti della Società Italiana di Mineralogia e Petrologia: 35: 713-719. Rinaldi, R., Wenk, H.R. (1979) Stacking variations in cancrinite minerals. Acta Crystallographica: A35: 825-828. Hassan, I., Grundy, H.D. (1984) The crystal structures of sodalite-group minerals. Acta Crystallographica: B40: 6-13. Rastsvetaeva, R.K., Pobedimskaya, E.A., Terent'eva, L.E., Sapozhnikov, A.N. (1993) Structural features of afghanite and its place among the cancrinite minerals. Crystallography Reports: 38: 185-189. Ballirano, P., Bonaccorsi, E., Maras, A., Merlino, S. (1996) Crystal structure of afghanite, the eight-layer member of the cancrinite-group: evidence for long-range Si,Al ordering. European Journal of Mineralogy: 9: 21-30. Ballirano, P., Maras, A., Buseck, P.R. (1996) Crystal chemistry and IR spectroscopy of Cl- and SO4-bearing cancrinite-like minerals. American Mineralogist: 81: 1003-1012. Lane, M.D. (2007) Mid-infrared emission spectroscopy of sulfate and sulfate-bearing minerals. American Mineralogist: 92: 1-18. Ballirano, P., Bosi, F. (2012) Thermal behavior of afghanite, an ABABACAC member of the cancrinite group. 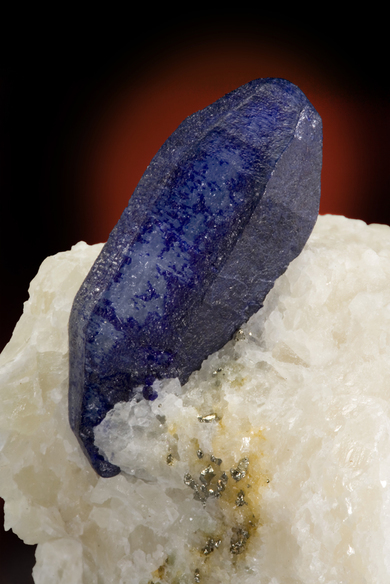 American Mineralogist: 97(4): 63-640. Moore, T.P., Woodside, R.M.W. (2014) The Sar-e-Sang Lapis Mines, Kuran Wa Munjan district, Badakhshan Province, Afghanistan. Mineralogical Record: 45(3): 280-336. The following Afghanite specimens are currently listed for sale on minfind.com. - Parodi, G., Ballirano, P., Maras, A. 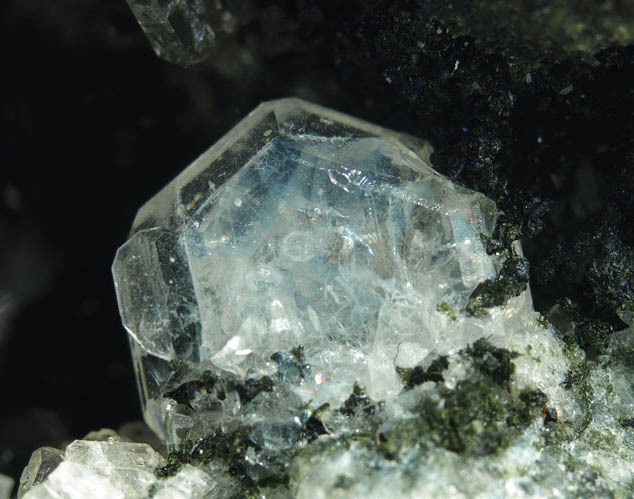 (1996): Afghanite from Mt Vesuvius: A Rediscovery, The Mineralogical Record, Vol. 27, 109-114; www.dinet.it/Mineral-GMC/AMI/vesuvio.html. Liotti L., 1991. I minerali dei vulcani laziali a Pitigliano (Grosseto). Riv. Mineral. Ital., 15: 121-139.